After clicking the Search Tools button, you’ll see additional options such as Size, Color and Type. The Size menu lets you select specific sizes, such as 1024×768. The Color menu lets you select Full Color, Black and White or Transparent. The Type menu offers some great options including Face, Photo, Clip Art, Line Art and Animated. 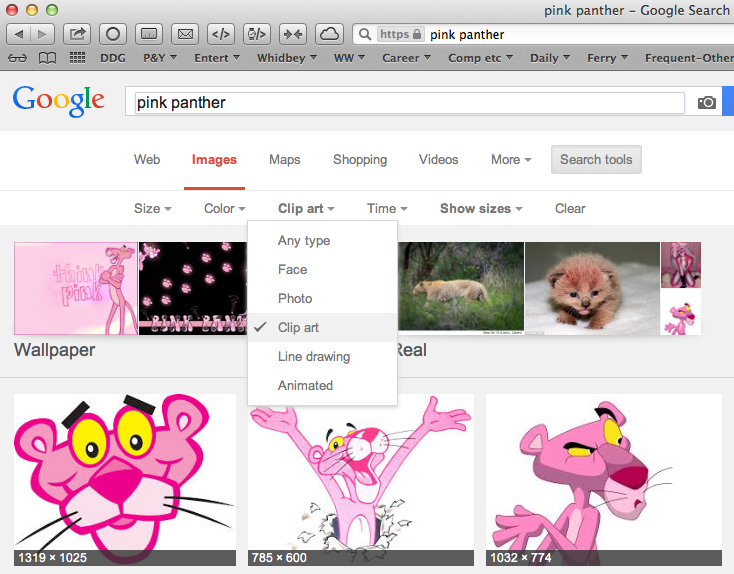 This last option lets you find animated gifs. Hopefully, one of these options will let you narrow your search to find just the image that you need for your presentation, paper or whatever project you’re working on. Read more about color, Google, google images, Search, size, type.